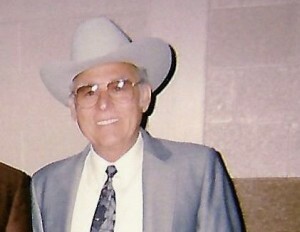 Erasmo S. Garcia also known as Eddie, 83, passed away on Saturday, March 16th 2019 at Chandler Regional Medical Center. He was born in San Benito, Texas. He was the son of Ignacio and Emelia Garcia. He is survived by his siblings, Arminda G. Lerma, Manuela Garcia Lopez (Henry Lopez), Juanita Jimenez, Domingo Garcia, Ramon (Sue Garcia) and Emelia G. Solis (Abe Solis). He was predeceased by Jose Garcia, Lucrecia Ledesma and Lupe Garcia. He was employed at Jewel/Osco in Chicago, II as a CDL truck driver for twenty-five years before he retired. He came out of retirement to work for Greyhound Bus Lines in Dallas, Texas as a bus driver for approximately five years and transferred to Phoenix and drove another fifteen years before finally retiring in January, 2018. His favorite pastimes are cross country road trips to Michigan, Chicago, and Texas. His vocation was his vacation. He also enjoyed traveling the world with his United Airlines benefits. However, what he loved most was spending time with family and friends. He is survived by his children, Mike Garcia (Delin Garcia), Mary Mills, Teresa Ruiz, David Garcia, Chuck Garcia (Corinne Garcia) Belinda Fransen (Tim Fransen) and thirty grandchildren and spouses as well as twenty-five great grandchildren. He was predeceased by Eddie Jr Garcia, Hector Garcia, Sylvia Brown, Joseph Garcia and Diane Garcia. The memorial service/ Celebration of Life will be held on Saturday, April 6th, from 2-6 pm at 1332 E. Rock Wren Rd Phoenix, AZ 85048 Richardson Funeral Home, Tempe, Arizona is compassionately serving the family.